The state of Illinois is within its rights to decline to renew contracts with Catholic Charities for adoption and foster-care services, a judge ruled today. The state had ended its contracts this summer with four Catholic Charities agencies that refused to consider couples in civil unions, including gay couples, as adoptive or foster parents, but instead wanted to refer them to other agencies. Civil unions became available in Illinois June 1. 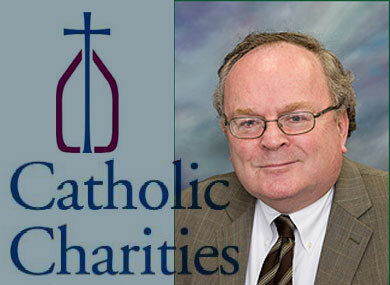 Sangamon County circuit judge John Schmidt, who heard arguments from both the state and Catholic Charities Wednesday, ruled today that the state did not violate the rights of the Catholic Charities agencies by ending the contracts, Windy City Times reports. Catholic Charities lawyer Thomas Brejcha (pictured) had argued that the agencies had a right to provide the services without compromising Catholic beliefs on homosexuality and marriage, and that after their long relationship with the state, they deserved more notice about the end of the contracts, which had been renewed annually for years. Lawyers for the state and the American Civil Liberties Union said that Catholic Charities’ discrimination against gay couples violated Illinois law and that the state had the right to set terms of contracts. Schmidt said in court that he would not consider arguments about either religious freedom or antigay discrimination but would base his ruling solely on property and contractual rights. Other social service agencies will now take over the adoption and foster-care cases the Catholic agencies had handled for the state.